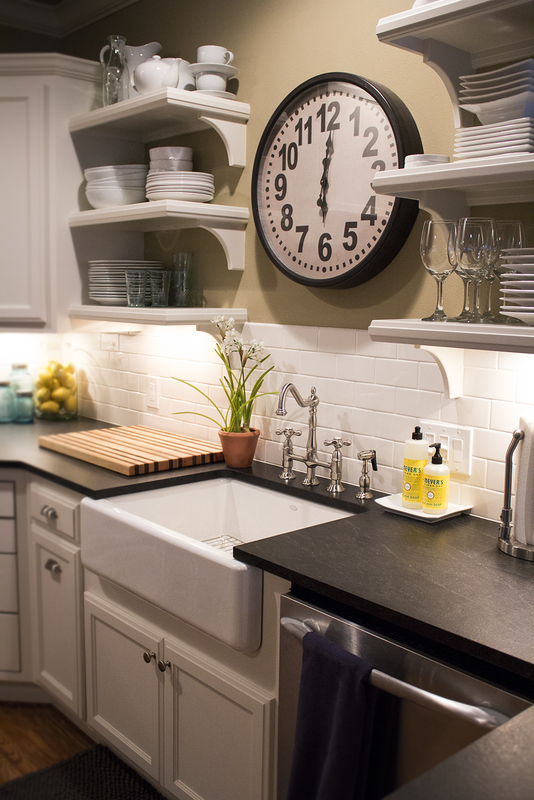 White outlet covers luckily blend in quite nicely with a white subway tile backsplash. However, too add a bit of color and to slightly conceal a 3-switch, I placed a dish/hand soap duo on a small white dish and voila! This not only is a more classy way to display your soap, but also acts as a cover up for those unsightly switches.